You might remember this activity tree from the summer that I used as a sort of "bucket list" to keep track of the fun things I wanted to do with JaiseAnn. I liked it so much I decided to make a Fall version. This tree is simple to make. 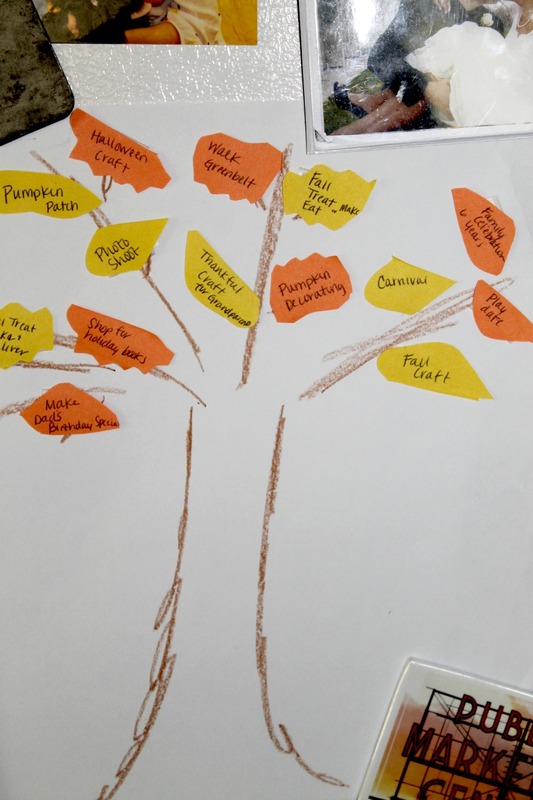 I drew a brown bare tree, cut out some very poorly designed leaves in orange and yellow, and added my bucket list items to the leaves. I then taped the leaves on the tree. 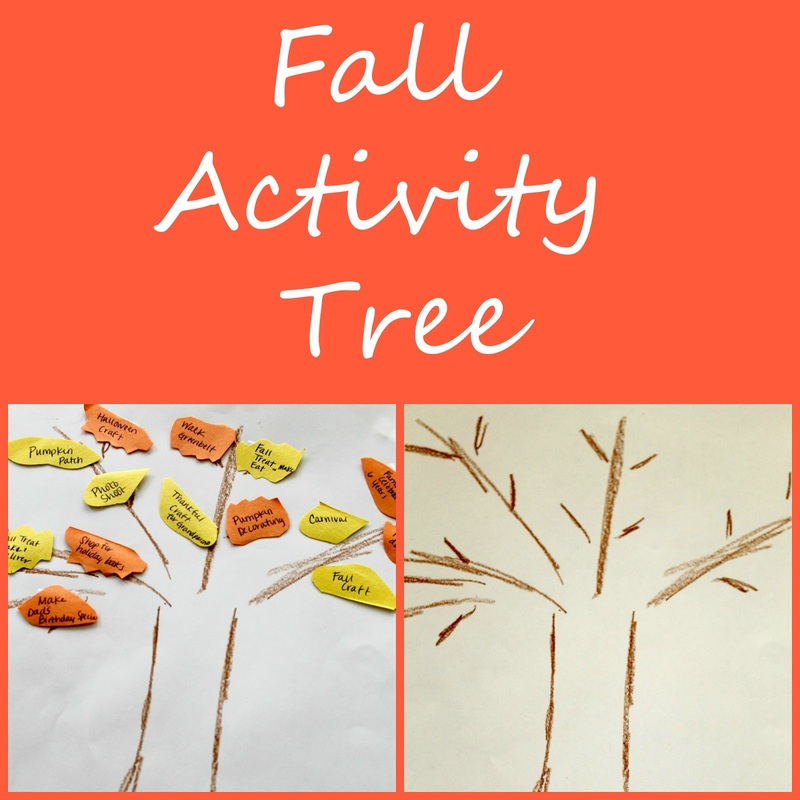 As we complete the activities, I will move the leaves from the tree to the bottom of the page--to demonstrate the falling leaves! It sits on our fridge as a reminder when I go to plan out our week/days. What are your Fall "must do" activities?